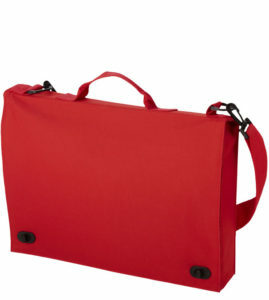 A Capital Bag For Eventful Branding. 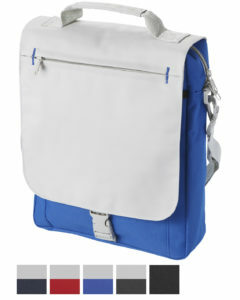 This is a bag for business that just doesn’t want to be too conventional. 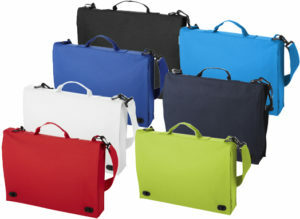 A briefcase style bag with a full front flap. The size of the flap gives a great area for branding with your logo. 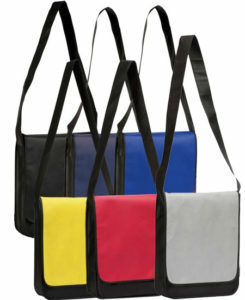 You will be pleased with the result and your clients will be pleased with their Santa Fe Branded Conference Bag. 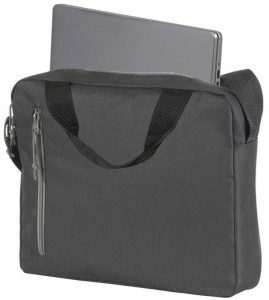 Includes handle, adjustable shoulder strap, buckle closure and several document pockets. Size: 28 x 38 x 7cm.